Agricultural | Detroit Forming, Inc. 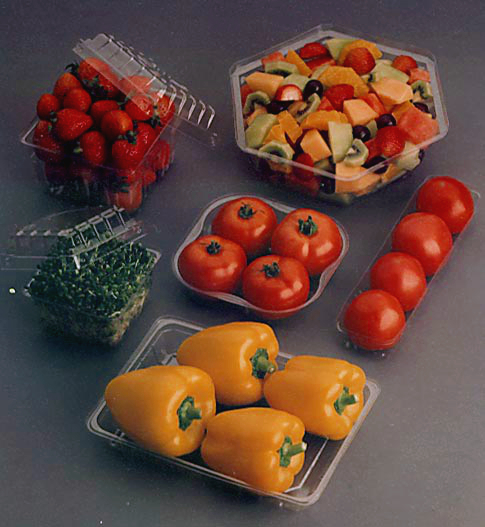 The market for agricultural packaging is ever changing and so are the products designed by DFI to package and merchandise your agricultural products. Whether you are packaging tomatoes through a horizontal wrapper, field-packing mushrooms, retailing fresh herbs, or selling mixed greens in a hinged container; DFI has the package to help merchandise your products. Please allow DFI, and our experienced sales team, the opportunity to find the item that will meet your agricultural product requirements. If DFI does not already have the item you seek, our experienced design staff can custom build the item you need. Either way, DFI clearly has you covered.